(b. 1976 in Havana, Cuba; lives in Havana and Madrid, Spain) Elemental forms of nature—including trees, water, sky, and clouds—inspire the conceptual works of Cuban artist Glenda León. For Unsettled Landscapes, León has created Esperanza (Out of Season), a public intervention that merges the natural and the artificial, with a gesture that highlights the rotation of the seasons. 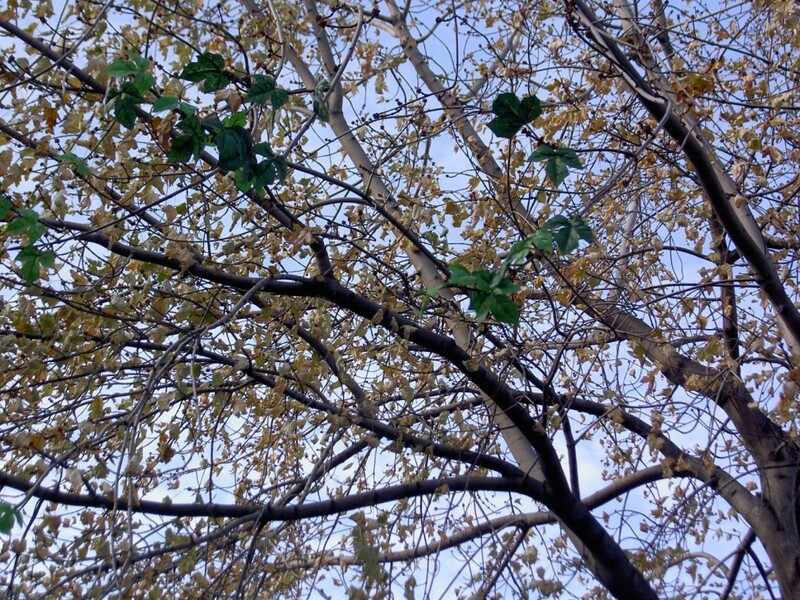 In this work fake leaves are glued to trees on SITE Santa Fe’s grounds and the adjacent 13-acre Railyard Park. Installed at the height of summer, the work is at first virtually invisible. 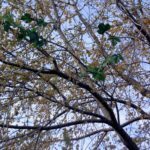 As the tree’s natural leaves change colors in the autumn, the bright green imitators become visible for the first time. When the real leaves fall off in winter, the artificial ones remain; they are a reminder of the cycles of nature, the passage of time, and the promise of seasons yet to come.